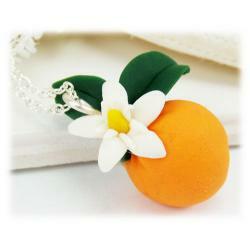 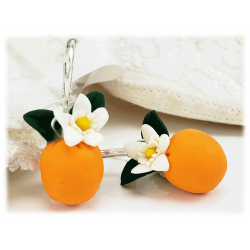 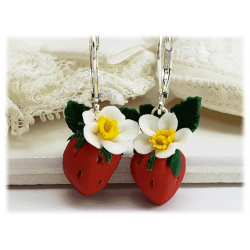 Special collection of flowering fruit jewelry featuring all handcrafted blossoming citrus and colorful fruit pendants. 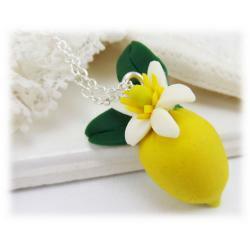 Perfect gift for a Gardener! 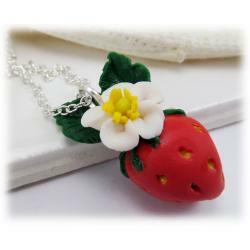 Petite, eye-catching and unique, these little pendants are available in assorted style chains and a choice of un-scented or scented.